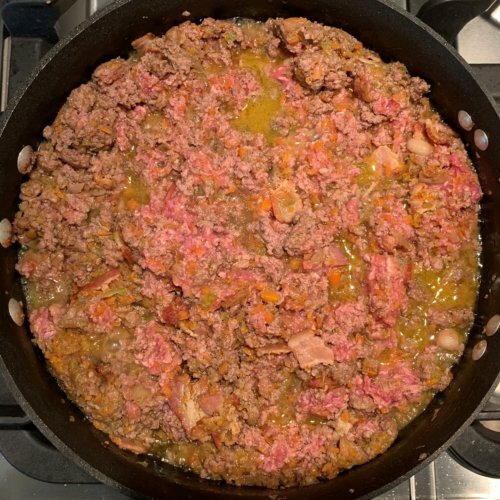 I love bolognese! It is usually what I will order on the menu at an Italian restaurant. (my younger self is in shock!) 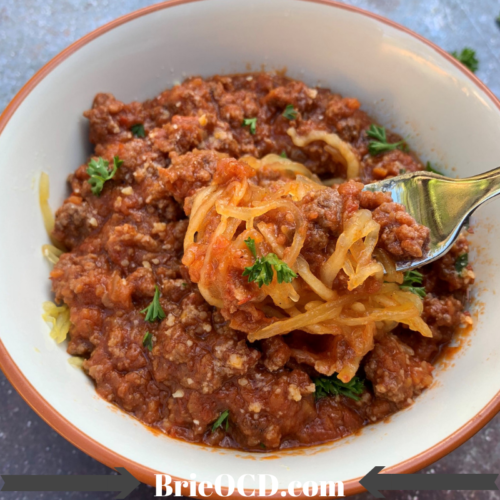 Since I don’t usually eat pasta unless I am out on the town (this is very rare lol) I decided to make it healthier and serve it with Spaghetti Squash (click here for how to cook spaghetti squash!). 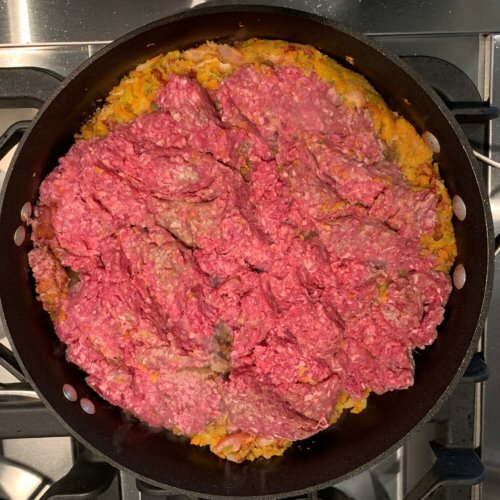 I adapted this recipe from Skinnytaste (click here to view the original & stovetop instructions) however I changed a bunch of the proportions and also the cooking method. 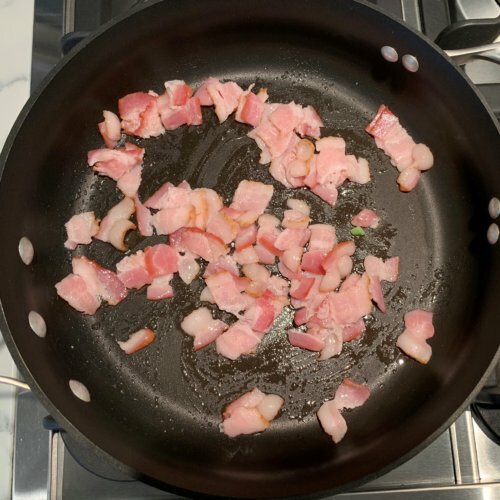 Per usual I start by browning the meat in a saute pan and then transferring to the Instant Pot. I don’t like sauteing in the Instant Pot (although you certainly can) because if you get any bits stuck to the bottom of the IP it can cause your machine to malfunction while pressure cooking (BURN notification). 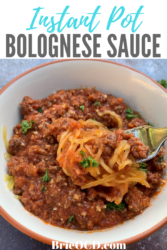 This recipe is naturally gluten-free and keto friendly! Per serving (about 9) it has 405 calories, 22g fat, 22g carbs and 25g protein! You can easily cut this recipe in half if you don’t want to make as much OR put it in a ziploc bag and freeze it for future use! I buy my organic ground beef & grass fed butter at Costco and my tomatoes and bacon at Von’s (CA local market). The rest I usually buy at Trader Joes because it is the cheapest I have found for singular items (like onions or sweet potatoes) and of course $2 buck chuck (wine). I am sure you can find any and all of these products at your local grocer! add the meat to the saute pan and season with 3/4 tsp salt and 1/4 tsp ground pepper. Saute for about 3 minutes breaking up the meat and stirring constantly. add the white wine to the saute pan until it reduces down about 2 minutes. 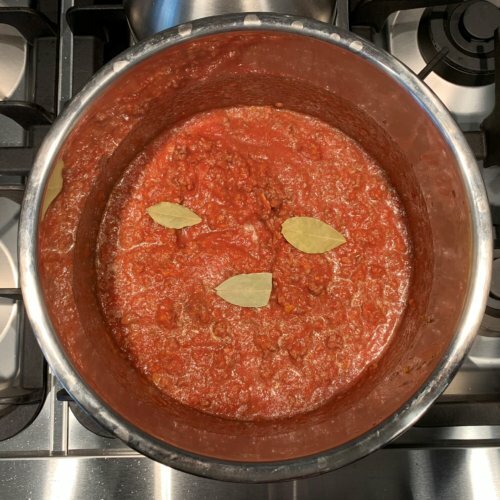 spray Instant Pot with cooking spray. 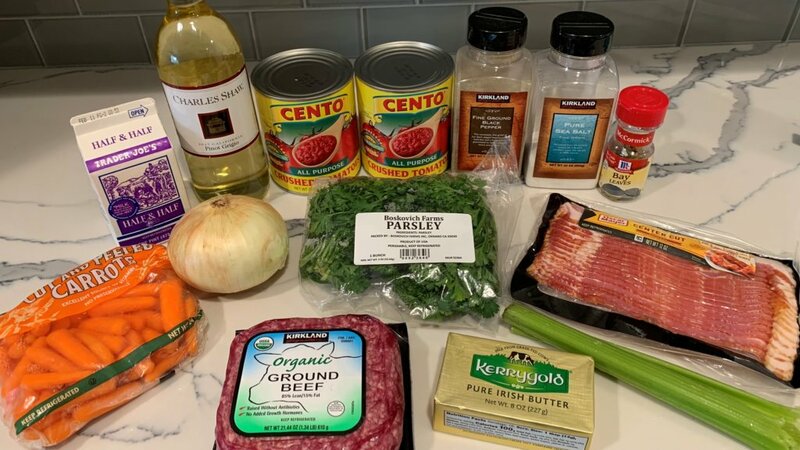 transfer contents of saute pan to the Instant Pot. 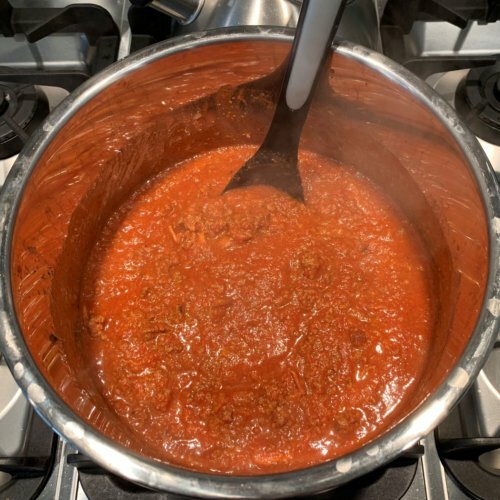 add crushed tomatoes, bay leaves, 3/4 tsp salt and 1/4 tsp pepper. Cover, make sure vent is set to sealed and set Instant pot with manual pressure on high for 15 minutes. use quick release method (immediately press cancel and release steam). 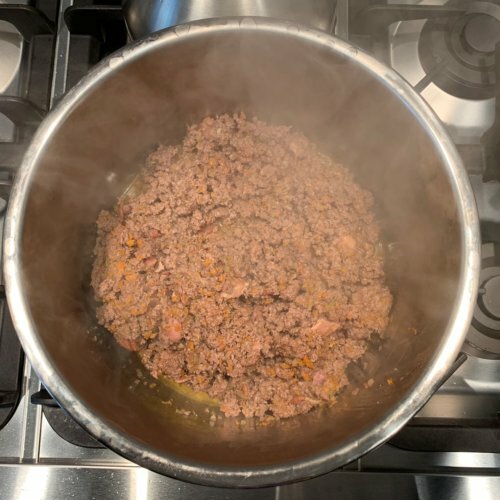 remove bay leaves, add half and half and stir. 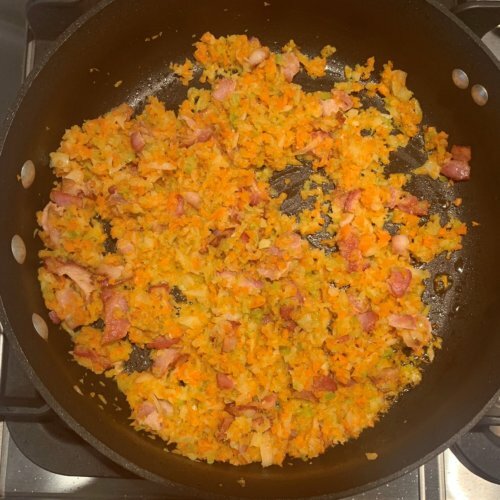 serve over spaghetti squash (click here for how to cook) and garnish with parsley and grated parmesan cheese. Enjoy!